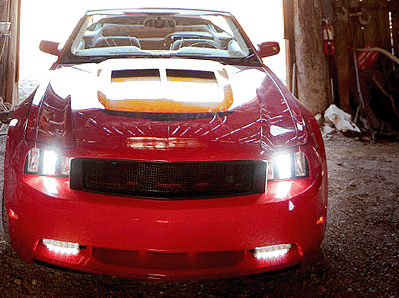 Leading monthly men's magazine Popular Mechanics commissioned Netcong Auto Restorations, LLC., once again for the magazine's annual Car Makeover feature, that ran in its 2011 May and June issues. Both custom vehicles featured at EAA AirVenture. Last year, Popular Mechanics put one shop to the ultimate test: After conducting a nationwide search for a custom shop capable of turning a 2010 Chevy Camaro SS into something special, Popular Mechanics selected Netcong Auto Restorations of Netcong, New Jersey. Phil and Dana Brazer, the shop's owners, then subjected themselves to our deadlines and the harsh glare of scrutiny. The amazing machine that resulted featured bold styling and enough chassis modifications to shame many purpose-built race cars. This year, Popular Mechanics approached the project a little differently. they liked how the Brazers did things, so we threw them a new challenge: If the Camaro was about no-compromises speed, then for 2011, we wanted style and comfort to come first. We wanted the ultimate weekend getaway car. 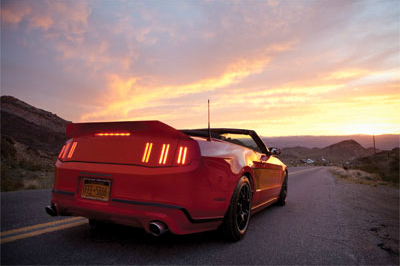 To that end, Popular Mechanics bought a 2011 Ford Mustang convertible, a red GT model with Ford's 412-hp, 5.0-liter V-8. At just over $34,000, the GT can hang with modern supercars without breaking the bank. But the project and its challenge didn't stop there. Popular Mechanics wanted to be able to mix things up after hitting our destination. A motorcycle was needed, something big on style and comfort. Enter the Victory Motorcycles 2010 Hammer S: old-school looks and a modern, 97-hp V-Twin. Thanks to modern suspension geometry and braking technology, the Hammer S stops and turns like a real bike, not some relic from a bygone era. We ordered up an Aluminum motorcycle trailer and told the Netcong crew to think about how to make our Hammer S a long-legged highway custom. For 51 weeks a year, EAA is an international community of more than 160,000 members that nurtures the spirit of flight through a worldwide network of chapters, outreach programs, and other events. But for one week each summer, EAA members and aviation enthusiasts totaling more than 500,000 from more than 60 countries attend EAA AirVenture at Wittman Regional Airport in Oshkosh, Wisconsin, where they rekindle friendships and celebrate the past, present and future in the world of flight. "The World's Greatest Aviation Celebration" has it all when it comes to aircraft. Warbirds. Vintage. Homebuilts. Ultralights. Some you would normally find in a hangar at your local airport, others so unique they are the only one of its kind. The finished car was featured at the Pocono 500 June 10-12, 2011, held at Pocono Raceway, which has long been recognized as one of NASCAR's most competitive speedways. The vehicle will also be showcased at the 22nd Annual Route 66 Car Show in San Bernadino, CA, September 15-18, 2011 and at The 71st Anniversary Sturgis Rally August 8-14, 2011. 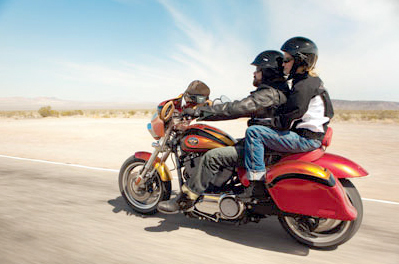 Sturgis Motorcycle Rally is one of the largest bike rallies in the United States. The Rally includes concerts, races, bike shows, exhibits, organized rides, and a full schedule of entertainment. 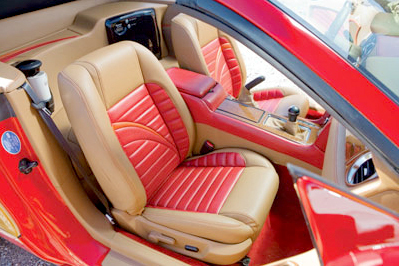 Both vehicles will also be featured at the 2011 SEMA Show, November 2011 in Las Vegas, the premier automotive accessories trade show in the world. Plus, the custom Mustang and Victory motorcycle wiill make a special visit to Jay Leno’s Garage. Since, 1968, our expert mechanics have delighted clients with classic car restoration, show car restoration, complete auto repair, custom cars, performance tuning, turbo charger kits, supercharger kits, body kits, auto body collision, car painting and refinishing services. 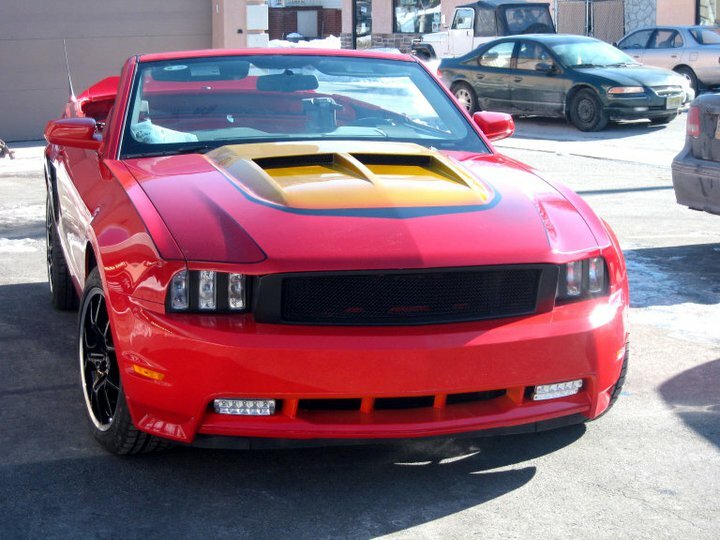 Netcong Auto Restorations is a custom automotive design company specializing in graphics, illustration and full build-outs of vehicles for private and commercial clients. We bring together the finest designs and products to create imaginative, unique and personalized vehicles, that exceed our clients expectations. We restore/customize/repair & maintain any year/make/model,/foreign/domestic vehicle such as Austin Healey-Camaro-Chevelle-Corvette-Ferrari-GTO-Jaguar Lamborghini-Mercedes-MGB-Mustang-Packard-Porsche-Range Rover & Rolls-Royce. Service NJ, DE, PA, NY, CT.